Freight forwarder Ross Furniture Logistics just inked a 115,000-square-foot lease in Hialeah. The company, of no relation to the retailer, is moving into a 215,000-square-foot warehouse at 6699 Northwest 36th Avenue, owned by Seagis Property Group of Conshohocken, Pennsylvania. The Easton Group’s Mike Waite and Jim Armstrong brokered the deal. Records show an affiliate of Seagis paid $10.5 million for the warehouse in 2006. 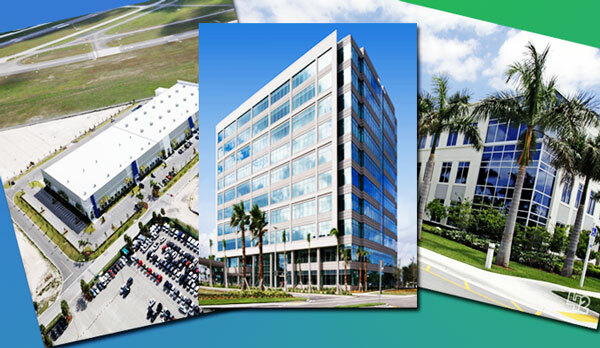 Seagis also owns the Doral Logistics Center and the Airport International Center in Miami. Auto parts and service supplier KSI Trading Corp. just secured a 42,000-square-foot lease at AVE Aviation & Commerce Center at Opa-locka Executive Airport, according to a press release. The tenant will move into Building J at 14350 Northwest 56th Court, bringing the 171,000-square-foot building to full occupancy. Once completed, the 178-acre business park will include about 200,000 square feet of retail, 2.1 million square feet of office and warehouse space, and 250,000 square feet of jet hangers. Other tenants include Turbopower, Banyan Air Services and the U.S. Postal Service. Cushman & Wakefield’s Matthew Bittel represented KSI. FirstBank Florida is relocating and moving into a 250,000-square-foot speculative office building at the Waterford at Blue Lagoon business park, Cushman said. The bank, represented by Cushman’s Tony Jones and Ryan Levy, will be taking up about 26,000 square feet in the 10-story building at 800 Waterford Way. It previously occupied a neighboring office building at 701 Waterford, according to a release. Tampa-based Hogan Group developed the business park and manages it for TIAA-CREF and Allianz Real Estate of America. Allianz paid TIAA $375 million in 2015 for a 49 percent stake in the company’s six Class A office buildings, totaling more than 1.4 million square feet. Sawgrass International Corporate Park in Sunrise signed deals for about 185,000 square feet of office space, according to a press release. Performant Financial Corporation took the penthouse at Sawgrass Pointe II, at 1200 Sawgrass Corporate Parkway, bringing the building to 100 percent leased. Cushman’s Tony Jones represented Performant. Federated National Holding Company renewed and expanded its lease at another building within the park, Sawgrass Commerce Center A at 13800 Northwest 14th Street. The nearly 65,000-square-foot deal includes an expansion of about 16,300 square feet. CBRE’s Zach Wendelin represented Federated. Technology company Harris Corporation inked a 28,180-square-foot lease renewal and expansion at Sawgrass Pointe I. The company grew by nearly 8,500 square feet at 1000 Sawgrass Corporate Parkway in a space previously occupied by Nuance Communications. Sandra Andersen, with JLL, represented Harris Corporation. Avison Young represented the landlord, Vanderbilt Office Properties.